The renovation will not be carried out using funds from the exhibition's budget but will be financed from another source: the Republic of Austria is contributing 6 million Euros towards the upkeep of the Auschwitz-Birkenau memorial. This amount shall be used to endow the Auschwitz-Birkenau Foundation and to finance the renovation of the exhibition building. The National Fund has already carried out the necessary preparatory work: structural reports on the building, the development of a renovation concept, conservational investigations and a renewed survey of the building. In November 2014, the National Fund and the museum concluded a contract setting out the individual renovation measures. This forms the basis for appointing a general contractor and the subsequent building work. 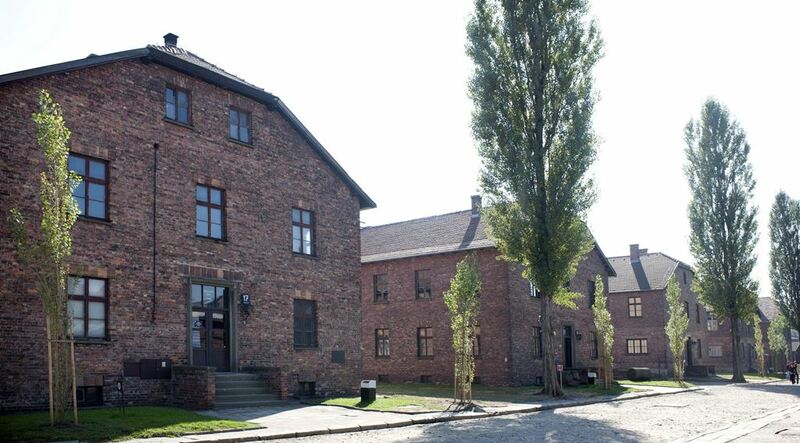 Block 17 was situated in the “main camp” of the camp complex at Auschwitz-Birkenau and comprised a cellar, ground floor, upper floor and an attic. According to surviving plans, Block 17 was constructed by inmates during the camp’s expansion from June 1941 onward. While the camp was under construction the blocks’ cellars were used as a store for foodstuffs and tools, a workplace for the commandos in charge of preparing meals and as workshops. The ground floors were used as a living area for inmates and were divided into four large dormitories, smaller washrooms and changing rooms and lavatories. The upper floor was divided into three areas: two large rooms served as living space for inmates and a smaller room was a snug for the “block elder”. The “block elder” was also an inmate and was responsible for ensuring that no one violated the block rules and regulations. According to archive material the attic space, which was also divided into three areas, was occasionally used by the block elder to carry out his punishments. However, it may have also been used as a living area for inmates. All levels were connected by a central staircase. After the war, the staircase, the rooms in the attic, and the cellar remained structurally unaltered. It was not until 1978 that the Austrian national exhibition was installed on the ground floor, followed by the Yugoslavian national exhibition on the upper floor in the 1980s. During the course of the preparations for the exhibition, the ground floor and upper floor were adapted to meet the requirements of the national exhibitions that they were to accommodate. On the ground floor adaptations included the removal of partition walls and – as design elements – the construction of new brickwork walls, an upward incline (symbolic of the “ramp” at Birkenau), and posts connected by horizontal wires simulating the barbed wire surrounding the camp (see exhibition 1978). The entire area of the former concentration and extermination camp at Auschwitz-Birkenau, including Block 17, is subject to monument protection laws and has been a UNESCO World Heritage Site since 1979. The Republic of Austria is contributing towards the upkeep of the Auschwitz-Birkenau Memorial in the amount of 6 million Euros. This sum shall be used to endow the Auschwitz-Birkenau Foundation and fund the much-needed renovation of Block 17. In 2011 legislation was passed entrusting the National Fund with the coordination and execution of these tasks (Federal Law Gazette I no. 128/2011) and putting it in charge of the renovation of the former inmate block 17. The National Fund has already completed the main structural preparations for the renovation (static report on the building, development of a renovation concept, conservational investigations and a new building survey). It has obtained the services of external experts to assist it in the planning and execution of the renovation. In November 2014 the National Fund – with the assistance of the Federal Ministry for Europe, Integration and Foreign Affairs, the Austrian Embassy in Warsaw and the Honorary Consulate in Krakow – and the Museum, as he building’s owner, drew up a contract setting out the individual renovation measures. This contract defines the National Fund’s role as project developer, whereby all construction works contracted by the National Fund are subject to Museum approval and receipt of the services rendered must be carried out in concert with the Museum. The aim of the renovation measures negotiated with the Museum is to improve the load bearing structure of the block and ensure that both floors can be used to house exhibitions. 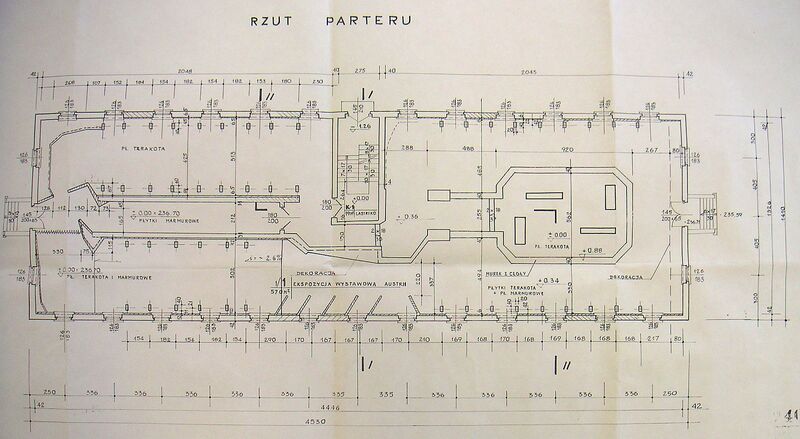 Once the definitive catalogue of measures had been finalized in the renovation agreement, in 2015 the National Fund was able to publish a bilingual call to tender (German/Polish) for a general contractor (architectural services), awarding the contract to the best bid submitted by a planning office. Furthermore, the National Fund commissioned the development of a conservational program, a highly relevant assignment that will define the nature and scope of the conservational measures and, as such, the cost, time and effort required to implement them. The schedule for the renovation is dependent on a large number of factors (e.g. official deadlines and requirements, coordination processes with the Museum and deadlines in the procurement procedure). Therefore, it is not possible to rule out delays.